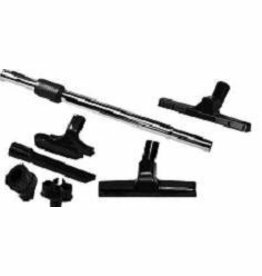 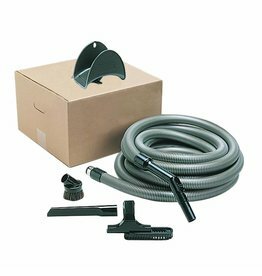 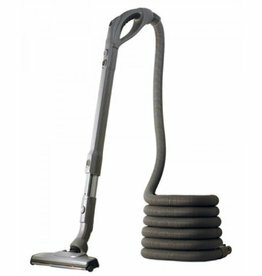 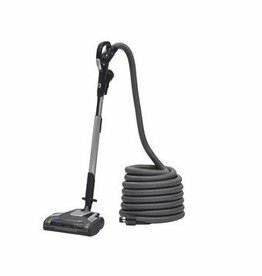 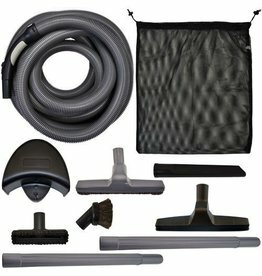 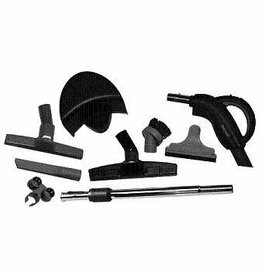 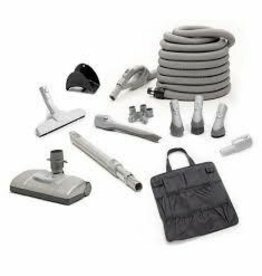 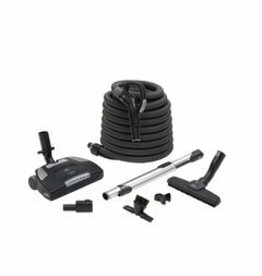 Offers three-level height adjustment, on/off brushroll, 30' hose with variable speed control, 2-way communication from hose handle to power unit, 13" Premium Bare Floor Brush, 3-in-1 Cleaning Tool and a hose hanger. 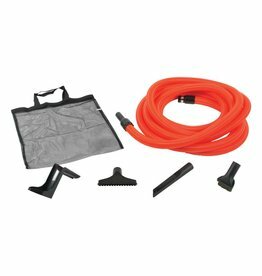 Hose Hanger and Mesh Bag. 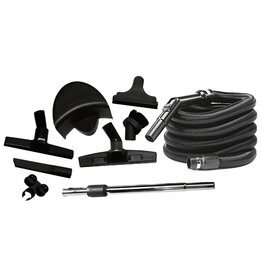 Packaged by Swiss Boy including the most premium aftermarket tools in the industry. 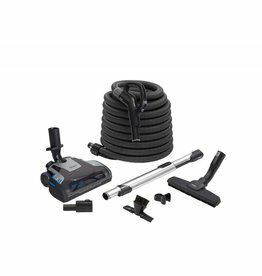 The no-slip, cogged-belt electric power brush with floating height adjustment cleans different levels of carpets and bare floors with ease. 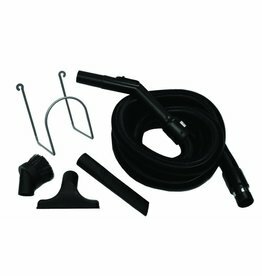 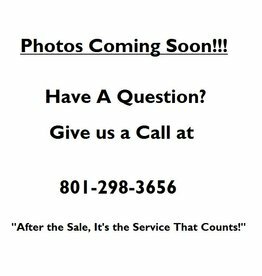 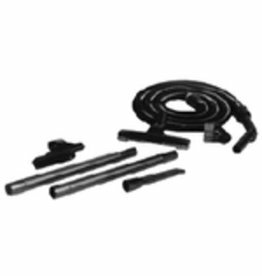 Includes 30' hose with on board tools.